Below you will find information about ordering and shipping. If you do not find an answer to your question please contact us at sales@classicbakery.com. Orders are ready to be picked up or shipped 48 hours after the order is placed. For orders placed after 6pm this 48 hour time frame begins the morning after the order is placed. 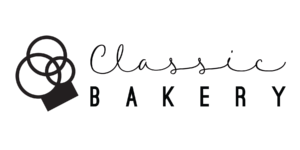 Classic Bakery delivers locally to the D.C. metro area and ships nationwide via UPS. Shipping options and costs are calculated on the shopping cart page. Deposits and purchases paid by phone, internet, or in person at one of our locations, are refundable only as store credit. No refunds are issued for orders cancelled 72 hours prior to pickup/delivery date. We are proud of our baked goods and are certain that you will be satisfied with your order. We are unable to offer refunds, but if you are unsatisfied with your order please contact us at sales@classicbakery.com.